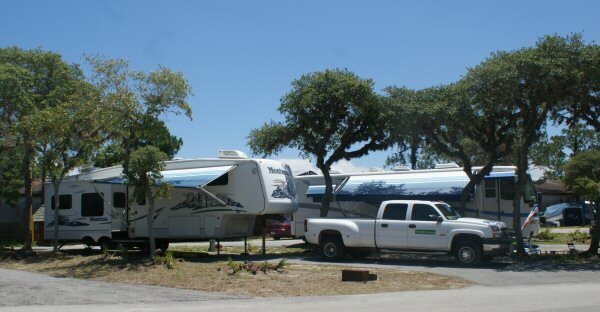 The St. Augustine Beach KOA is exactly what you expect from a KOA campground: full hook-ups, clean and conveniently located. This is a family friendly RV park and, what it lacks in privacy, it makes up for in amenities and security. They have fishing, a lake with paddle boats, bicycle rentals and a pool. This is the best full service campground in the area. While we prefer to camp at Anastasia Park, which has more privacy but limited amenities (30 amp power and water), sometimes it is nice to have all the creature comforts. Nearby attractions include: Anastasia State Park, St. Augustine Lighthouse, St Augustine Alligator Farm, Washington Oaks Garden State Park, St. Augustine Beach and historic downtown St. Augustine.